It’s link list time again! 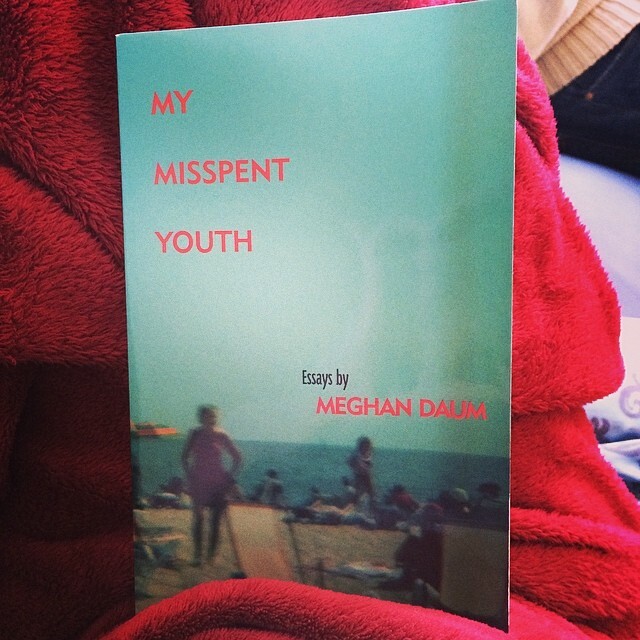 The above is a recent read – My Misspent Youth by Megan Daum. Recommended. If you’d like to receive this by email, please sign up here and I’ll begin emailing this out once 25 or so people have subscribed. — Matt Zoller Seitz. Please, critics, write about the filmmaking. The Dollar-And-Cents Case Against Hollywood’s Exclusion of Women. In which the new FiveThirtyEight is already giving me warm and fuzzy feelings. I enjoyed these Time Out comment reviews of Under the Skin more than most of the professional ones I’ve read. Gavia Baker-Whitelaw points out the inherent sexism in, like, every Captain America review ever. Jeopardy champ & author Tom Nissley may have bombed in his Tournament of the Decades which aired this week, but then he went and bought a bookshop! I blogged about measuring the success of your social media efforts — yanno, if you’re interested. Why Doesn’t America Read Anymore? Psych! Elizabeth Wurtzel on the Longform Podcast made me lol at work. She is also pretty insufferable. The Current debated Lena Dunham as a feminist icon back in January. Features Roxane Gay and Kate Carraway, among others. How Not to Quit — Sarah Nicole Prinkett owes you (well, her readers) her career. Turns out Glasgow thinks it’s a good idea to blow up some people’s former homes as an Opening Ceremony spectacle. Not cool, Glasgow 2014. This made me want a tiny tattoo. What were your best reads of the week? Hit me up with your links on Twitter! It’s time to start a weekly link list. It’s entitled Reading Week. Partly because it will be, for the most part, weekly; partly because most of my recent reading and listening has been in the pursuit of some sort of education. And we all know that the best week of the university semester is reading week. Each week I’ll post some links I’ve been enjoying from cultural podcasts, longform journalism, digital trends, book news, and film writing. If you’d like to receive this by email, sign up here and once it hits 25 names I’ll start sending out an email newsletter. Writing About Old Dudes Who Write About Old Dudes – On reading Gay Talese. I joined Scottish Book Trust to review S. by JJ Abrams & Doug Dorst. How Heathers Changed the Teen Movie Forever – just don’t mention its predilection towards sexual assault. What I’m Reading by Jessica Stanley – make sure you check out her Tumblr, too. 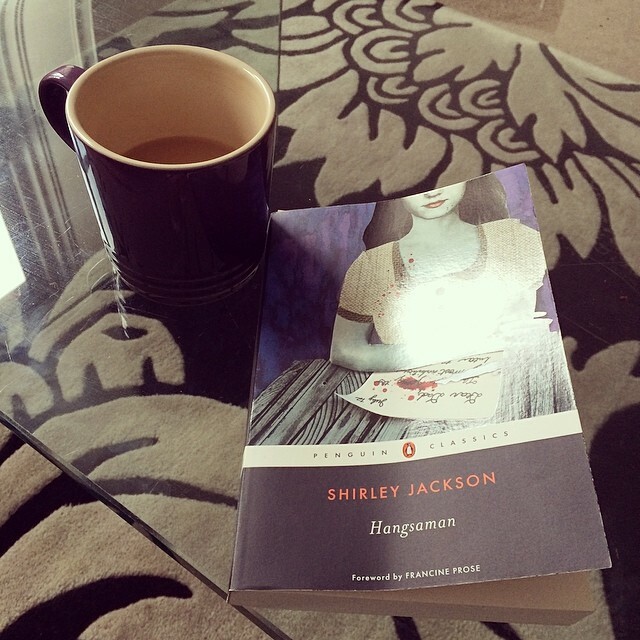 “The Lottery” Letters – since I picked Hangsaman by Shirley Jackson (pictured) for book club this month. Tavi Gevinson is the latest guest on the Longform podcast – and you’ll wish you’d made something of your blog at 13, too. Rebecca Coriam: Lost at Sea – just as I thought I didn’t really get Jon Ronson (thanks to this [rubbish] book). Ghosting: Andrew O’Hagan on ghostwriting the Julian Assange autobiography. All 30,000 words of it. The Creepy Way Fathers Across the Country Are Controlling Their Daughters’ Virginity – & why it helps no-one. Are you using Pocket yet? It’s, like, literally the only way to get on with life without keeping 200 tabs open. Good UI has some interesting tips for your website. SF Gate has a funny cut & paste piece for out of town journalists covering Silicon Valley. On the Internet, Nobody Knows Your’e a Human Who’s Turned Into a Dog – I dunno, I thought it was funny.